Statistics are a funny thing. It’s interesting how very different conclusions can be derived from the same set of numbers when viewed from different perspectives. If an organization publishes a set of statistics and a person either doesn’t know how to dissect them or is too lazy to ask probing questions, they can be fooled into thinking that a situation is better (or worse) than it really is. Last week, the Hartford Courant published a story entitled, "Census Statistics Twisted." In this article they were critiquing reports that the U.S. Census Bureau has been trumpeting recently about the progress of Hispanic and African American entrepreneurs. While it’s true that the overall number of businesses have increased for both groups, the majority of the growth is due to an increase in single-person companies. The number of Hispanic-owned businesses with employees fell 6 percent between 1997 and 2002, the two years in which the Census Bureau last surveyed minority-owned firms. Those owned by blacks barely budged. During the same period the total number of firms with employees rose 4 percent nationally, meaning that established businesses owned by groups such as whites and Asians are the ones that really expanded. In 1997, the average revenue of all Latino-owned firms - those with and without employees - was $143,866, according to the Census data. The average revenue of all black-owned businesses was $77,426. Firms owned by whites, meanwhile, had average revenues of $417,395. In 2002, revenues for black- and Hispanic-owned businesses fell further than for whites, and the gap widened by 1.5 percentage points for both minority groups. While it’s great that some progress has been made in terms of the overall number of minority owned businesses in existence, we can’t be satisfied with the fact that there are more sole proprietors now than five years ago. New approaches to minority business development are desperately needed (see New Growth Strategies Needed). The next phase of minority business development has to shift away from mainly focusing on starting businesses and move toward building businesses that have economic significance. More knowledge capital and financial resources need to flow into capacity building. More resources and programs are needed to train and coach people how to use industry best practices for growing from a “lone ranger” entrepreneur to an employer that has a payroll of 50 people. That’s real economic development. Some of the responsibility also rests with the minority entrepreneur. Those who desire to grow must see beyond their own abilities and talent to perform a service or create a product and focus on building an enterprise. They even may have to consider various ownership alternatives that could challenge their concept of owning and running their own business (see Leveraging Strategic Relationships). Now is not the time to pat ourselves on the back or rest on recent achievements. There is much more work to be done in the area of minority business development if it is going to be used as a viable economic develop tool for communities. More innovation, expertise, and resources are needed to fulfill the potential of this initiative. Let’s get to work! I would like to give a plug here for YoungBiz, who mission is to empower youth with entrepreneurial, business, and financial skills through innovative education and real-world experience. Last week I had the opportunity to participate in a teacher training session for one of their youth entrepreneurship courses. I was very impressed with the knowledge, skills, and experience of the trainer, Juan Casimiro. He not only focuses on the principles of owning and running a business, he helps youth start legitimate enterprises. YoungBiz reinforces and augments what students are learning in school through the real-world application of math, reading comprehension, writing, leadership, and creativity among other things. They take a sincere interest in the long-term success of youth, and not just try to push them through a curriculum. Looking at the current conditions plaguing our youth and the long-term prognosis of our communities, if these situations continue unchecked our communities will continue to deteriorate. We have to implement innovative and effective methods that empower and prepare our youth for a successful future (see What Really is Empowerment?). Entrepreneurial skills, such as problem-solving, teamwork, goal-setting, and presentation skills translate into valuable life skills. Therefore, teaching them entrepreneurial skills can go a long way to redirecting many of our troubled teens toward positive paths that will lead to their long-term success, rather than in the direction that many are now heading (see Next-Gen Entrepreneurs). If you are a parent, teacher, or community leader who would like to get your youth interested in something more productive than playing video games and watching music videos, I would definitely suggest finding out if YoungBiz entrepreneurship training is being offered near where you live. Even if they never start a business, the skills that they learn will carry them far in terms of helping to shape them into productive, successful leaders who have a positive impact on the community. Let’s not just talk about it, but let’s do more to positively impact our youth by creating opportunities and environments for their success. Please contact me if you would like some help with getting in touch with someone at YoungBiz. I am more than happy to do so. Last week I wrote an entry, “Entrepreneurs Needed in Africa.” I said that I was going to become a student of that continent so I could use my entrepreneurial skills and business knowledge to empower as many people over there as I can. Well, in October I will have the opportunity to study Rwanda in person. I am going on a short-term missions trip over there from October 2–12, 2006. The team of people I am going with will provide practical assistance to their local churches in meeting the spiritual, physical, and financial needs of the Rwandan people. 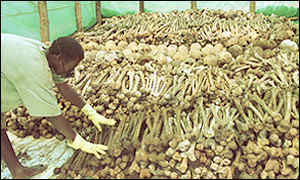 If ever there was an area of the world in desperate need for love, hope, forgiveness, and revival, Rwanda is on the top of the list. 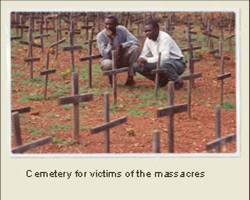 One only needs to remember the 1994 genocide or the current tragedies taking place in Darfur to be reminded that there is much healing and rebuilding needed there. I want to give you or your business an opportunity to be a part of this great event through a sponsorship. In exchange for your sponsorship of this trip, I will provide you with an article and a featured link on this blog highlighting your business, non-profit, or community service organization. This will be an incredible chance for you to empower people and change lives across the globe. If you are interested in becoming a sponsor for this trip, please send me an email at info@biznovations.net and we can discuss your options. All of the travel arrangements are being handled by Global Missions Fellowship. You can even submit your contribution online at www.gmf.org if that is more comfortable for you. Your tax deductible contribution will make a huge difference for many lives. I’m reminded that the eternal benefits attached to this trip are not only for people of Rwanda, or even the missionaries going, but also for everyone enabling this trip to become a reality. And that prayerfully includes you. The other day I heard something very intriguing and it caused me to relate it to how entrepreneurs think. This person made the statement, “It’s improbable, not impossible.” This kind of attitude would definitely describe Chris Gardner. According to USAToday.com, he once was homeless and slept in a men's room stall at a San Francisco transit station with his toddler son. Today, he can say his company has managed multimillion-dollar bond issues for the Bay Area Rapid Transit (BART) system. For those of you who don’t know, it’s the same transit system that he slept in! What’s more amazing about this story is that his recently released book, The Pursuit of Happyness, will be turned into a movie due out in December starring Will Smith. This powerfully inspiring story let’s us know that no matter what situations we face as entrepreneurs or as people in general, nothing is ever too difficult to conquer. We must have a relentlessly resilient attitude as it relates to confronting our challenges and overcoming our fears. And we don’t have to hit rock bottom to be motivated to go to the top. So the next time you are presented with an opportunity that seems beyond your capabilities, you’re having a hard time closing the deal with a difficult customer, or your revenues are falling far short of your goals, just remember, it might be improbable, but it’s never impossible! It has now been 7 weeks since I left corporate America and launched Wilson Innovation Alliance (see Fresh Start). To say that it’s different “out here” than “in there” is an extreme understatement. I wanted to share with you a few of the things that I have learned. I’m sure most entrepreneurs probably have already heard the gist of the points that I’m going to make. I’m also sure that of the 95% of small businesses that fail, the owners have all heard some really good advice (see Suggestions for Small Biz). C.S. Lewis said something to the effect that more people need to be reminded of what they already know than to be instructed on what they don’t know. Awareness of these principles is not the issue. Effective application is the issue. Build a strong referral base through strategic networking. Tim Sanders says that “your network is your net worth.” One thing to keep in mind about networking is that if you aren’t adding value to someone else by referring them to others (or others to them), then you’re not effectively networking. Diligently search for ways to be a value-added resource to others in order to help them expand their network. If you do, you will definitely reap what you sow. Get a sales/marketing expert. If you don’t have a sales/marketing expert on your team, you need to figure out a way to get one or at least find someone who is willing to coach you in that area. One of the challenges for small businesses today is that there are so many ways to promote your business that you can spend lots of money doing a lot of different things, but still not impact your company’s revenues. This expert can help you to maximize your resources and strategically align your company with the right marketing opportunities that will best support your goals. Develop a daily tactical game plan. Just as important as having a business plan is having a tactical action plan that outlines what needs to happen in your business on a daily basis. Without one, your business will be a like a sailboat without a sail in the middle of the ocean, subject to every wave and wind of change. Your plan should be flexible, but focused. It needs to be developed with relevant metrics that you can use to track the continual progress that you are making toward your operational goals. There is a scripture in the Bible that says, “faith without works is dead” (James 2:26). In terms of business, this essentially means implementing a plan that incorporates these practices will help you to run your business more profitably, but knowing these principles and not using them will lead to your company’s demise. Don’t allow faith and hope alone to guide your business. Do the things that you have heard so that you can be long-term success story. Earlier this month I wrote about the traits of entrepreneurial thinkers (see On Becoming an Entrepreneurial Thinker). Small business owners are not the only ones who need to possess these traits. These traits are also needed by leaders in the upper echelons of business and government, including the countries of Africa. There was an article from Reuters yesterday that talked about a recent meeting of ministers and experts from across the African continent. They were discussing policies and practices to create jobs in the world's poorest economies. Economic growth driven by commodities exports over the past five years has not resulted in any significant job growth. Duncan Mlazie, Botswana's assistant finance minister, stated, “We have so many declarations on labor issues we know exactly what we want to do: we want to create employment. What we don't seem to do is address the 'how' part of it, and implementation.” That’s where innovative, effective entrepreneurs step in – to develop creative ideas and implement practical systems that generate wealth. I don’t purport to being an expert on Africa, but from an entrepreneur’s point of view, great opportunities seem to abound there - for those who are problem-solvers. Long-term success would require a group of socially responsible entrepreneurs (see Entrepreneurs Who are Changing the World) who could figure out innovative, yet practical ways to create jobs in the agricultural sector (a big job creator there). The benefits of a successful implementation and duplication of this type of business development system would be far-reaching. Too many people and companies in the past have gone into many of these African countries and benefited from them without returning a significant investment back into their local economies. If the future is going to be any different, socially responsible entrepreneurs will need to fill the void where entrepreneurial thinking and action is desperately needed. I am committed to utilizing my entrepreneurial skills and business knowledge to empowering as many people as I can in Africa. I will become a student of that continent and its countries, gaining a deep understanding of their history, culture, economies, and politics. This will allow me to make a legitimate contribution to their long-term economic growth. This will be part of my entrepreneurial legacy. What about you? On this Mother’s Day I would like to salute a mother/entrepreneur from history. Madam C.J. Walker, a St. Louis washerwoman turned entrepreneur, patented a highly successful African-American hair care product in 1905. She died in 1919 as a millionaire and philanthropist. 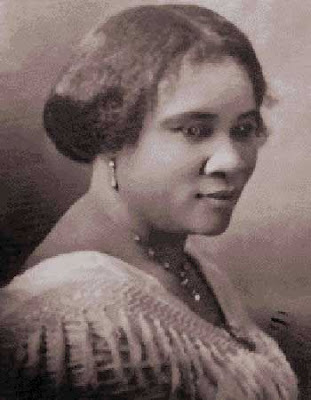 According to her great-great-granddaughter and biographer, A’Lelia Bundles, by the time she died at her estate in Irvington-on-Hudson, New York, she had helped create the role of the 20th Century, self-made American businesswoman; established herself as a pioneer of the modern black hair-care and cosmetics industry; and set standards in the African-American community for corporate and community giving. Her words of wisdom from almost a century ago still ring true today for entrepreneurs. The formula for success that she prescribed for aspiring entrepreneurs included tenacity and perseverance, faith in herself and in God, quality products and honest business dealings. "There is no royal flower-strewn path to success," Walker once commented. "And if there is, I have not found it for if I have accomplished anything in life it is because I have been willing to work hard." You can read an excerpt from Bundles’s account of Walker’s exemplary life and business career at http://www.madamcjwalker.com/excerpt.html. Happy Mother's Day to all of you mothers and my mom too! Thanks for all that you have done to position your children to be successful! We wouldn't have made it this far without you. Friday, May 5th, I attended John Maxwell’s Maximum Impact simulcast. It was an incredible event with some great speakers on leadership. Each day this week I will highlight two different speakers and some of their most memorable statements. Hopefully their insights will inspire and encourage you just as they did for me. Enjoy! Every dream needs a leader and every leader needs a dream. Leadership is bringing opportunities to situations of challenge. Winning and losing are both habits. She also had one of the best quotes of the day: "Whatever you have to give up to fulfill your passion is not a sacrifice, but a bold investment." Anybody can be good once in a while. The magic is being good everyday. Effective leaders listen to hear versus listening to respond. The quality of a person’s life is directly proportional to their commitment to excellence. A leader without convictions is a leader who will fail. Ask yourself how these insights apply to your daily activities. If you want to have a great business, you need to be a strong leader. How focused are you on strengthening your leadership skills? Click here for Days 1 – 2 – 3 – 4. The goals we achieve are directly proportional to how far we’re willing to reach. If you don’t stretch you can’t grow; if you don’t grow others will pass you by. Winners look for stepping stones not stumbling blocks. Are you here to massage history or to make history? Likability = personal capacity to consistently produce positive emotional experiences in other people. Effective leaders figure out a way to connect with people’ passions. Be obsessed with keeping promises. Long after your team remembers what you did and what you said, they remember how you made them feel. Click here for Days 1 – 2 – 3 – 5. Innovation is being able to use the tools that you have in ways that they were never intended to be used and getting effective results. A good organization learns continually and shares broadly. Leaders always increase “ROI”, Relationships, Outcomes, and Improvements (Ideas). Leadership begins with self-mastery, which consists of competence, character, and connection. Focus on MVPs: Most valuable and profitable activities. IQ = Implementation Quotient: leaders are evaluated on results not intentions. Click here for Days 1 – 2 – 4 – 5. Decisions are the catalyst for anything great. Make decisions that others aren’t willing to make. One of the most important decisions you can make is to pursue excellence. You attract people that “look” like you based on your character and attitude. Leaders make a difference in the results, but more so in the lives of their people. High performers see the forest and the trees. They see details that others don’t see. Click here for Days 1 – 3 – 4 – 5. Vision casting is not enough to be a good leader. Being able to take people somewhere is leadership. Managers assume everything will stay the same. Leaders assume everything will change. No leader can be great at everything so they need to develop a strong team around them. The position doesn’t make the leader. The leader makes the position. Help others find their strength zone and keep them there. People grow when they operate in their strengths. Teamwork is a strategic decision not something that is automatic. The leader has to be the first to demonstrate vulnerability on their team. Leaders must hold their people accountable. Behavioral accountability is more important than numbers accountability. Peer accountability is powerful. However, when leaders don’t hold people accountable their peers won’t either. Click here for Day 2 – 3 – 4 – 5. If you looked at this title and you are not a business owner, please continue reading. And if you are a business owner, pay even closer attention, for the reason that just because you own a business doesn’t automatically mean that you’re an entrepreneurial thinker (E-Thinker). There is no one profession or career path that has cornered the market for E-Thinkers. They come from all professions and/or educational backgrounds, including business, government, education, faith-based and religious organizations, nonprofits, technology, sports, the arts and entertainment, etc. E-Thinking is not an activity, but a state of mind. In essence, E-Thinkers are creative problem-solvers who are able to see opportunities where others only see problems and then use available resources to develop innovative solutions that produce profitable results for themselves and others. E-Thinkers can do this repeatedly, because they see the world differently. They welcome challenges and seem to seek out opportunities where the odds are stacked against them, so they can figure out a way to overcome them. They don’t have time to complain about how bad things are, because they are too busy trying to find solutions. They are kind of like firefighters in that when everybody else is running away from the burning building, firefighters are running into it. E-Thinkers have learned how to seize the opportunities that are presented to them, allowing them to create new possibilities and pathways in their lives and for those who are connected to them. Society needs more E-Thinkers to help it to overcome many of its ills. We need more people who are willing to see and do things differently in order to produce better results. So how can you equip yourself to become one of these highly sought after individuals? I believe E-Thinking is more learned than taught. However, I also believe there are some fundamental practices that, if you begin to do them faithfully, you will chart a path in your life that you may never have thought possible. Change your thought life. If you think it’s a problem, then it’s a problem; but if you think it’s an opportunity, then it becomes a chance for you to make a difference. Be flexible. Look at other environments that are different from yours and adapt their best practices, philosophies, concepts, and ideas to your situation/environment. Be positive. Let go of the “it won’t work here” syndrome. Negative attitudes will keep you stuck in the same situation that you have been in for however long you’ve been there. Be willing to be unconventional. If you want to excel beyond everybody else, you must be willing to be different than everybody else. Sometimes just being positive is different enough. Have faith. Sometimes you just have to believe that the seemingly impossible is possible. Now, this faith isn’t in your own abilities, but in God, who gives us the infinite ability to produce results far beyond anything that we are able to do on our own. People who know how to solve problems and get results are always going to be in high demand. So whether you’re a business owner, an employee, or retired, if you truly want to make yourself more attractive in the marketplace, become an E-Thinker.